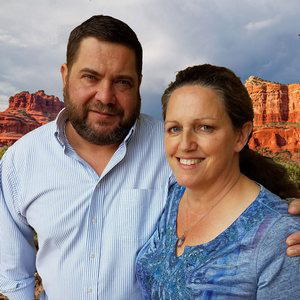 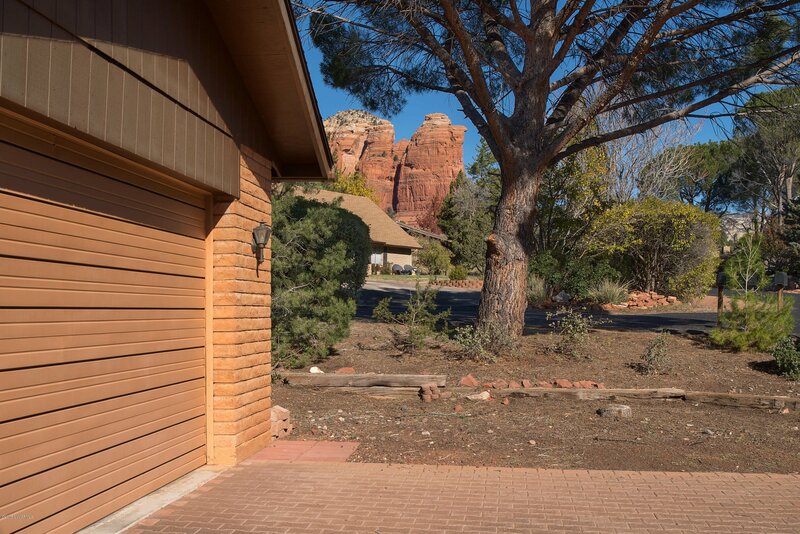 365 Last Wagon Drive, Sedona, Sedona real estate. 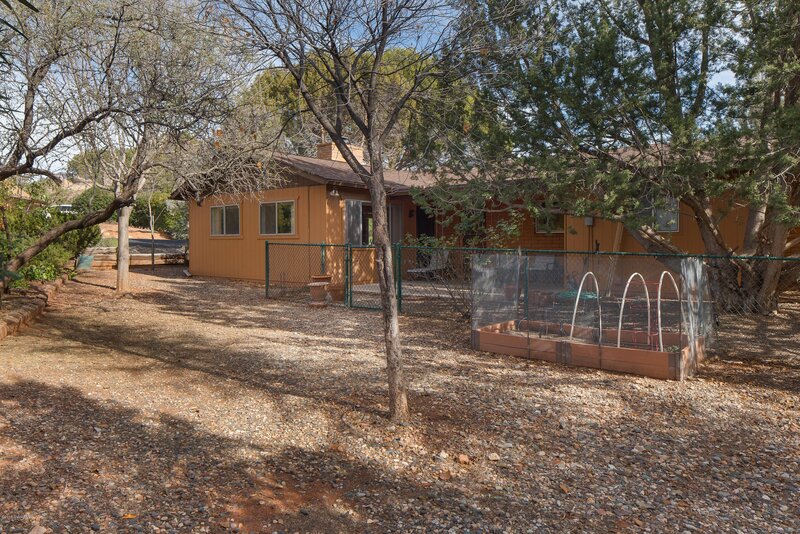 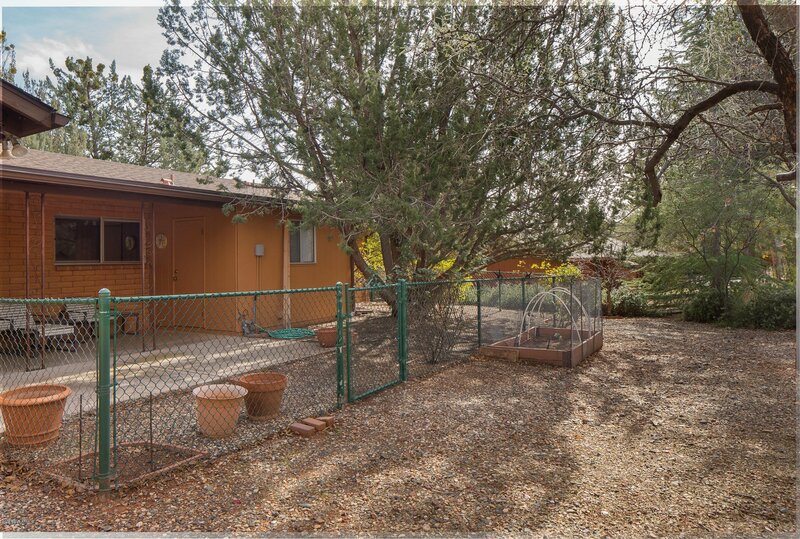 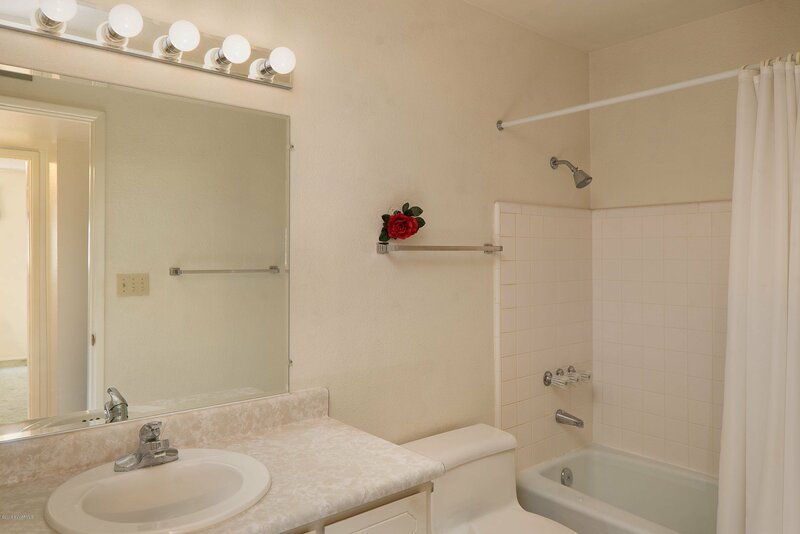 Sedona Verde Valley MLS number for this Sedona property is 518390. 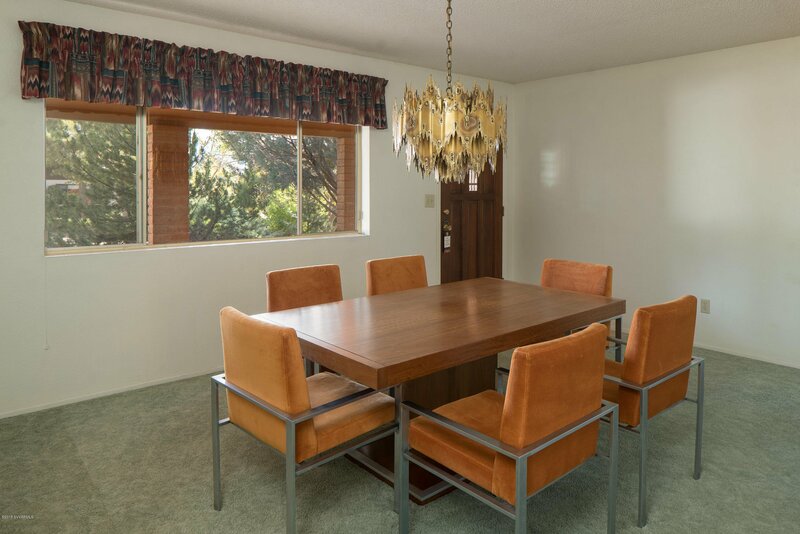 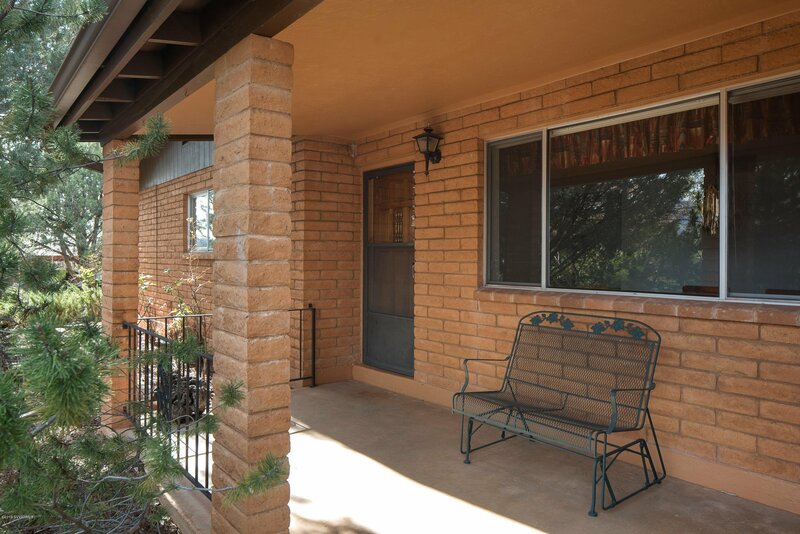 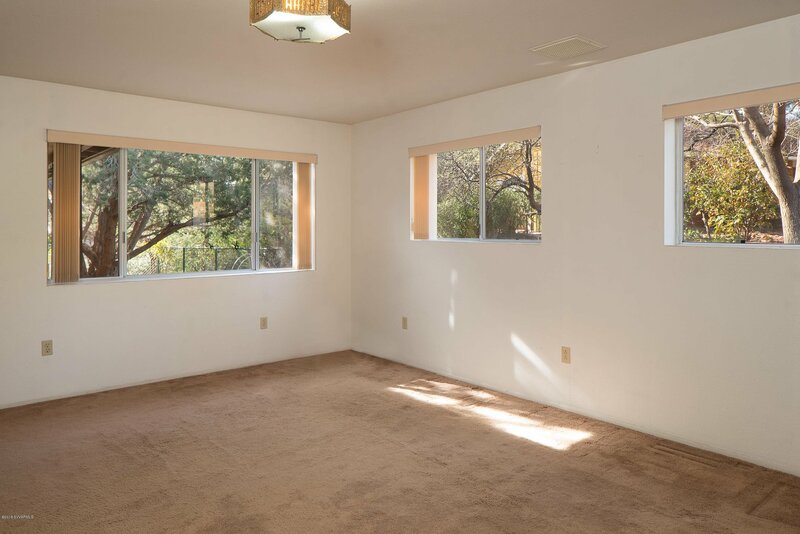 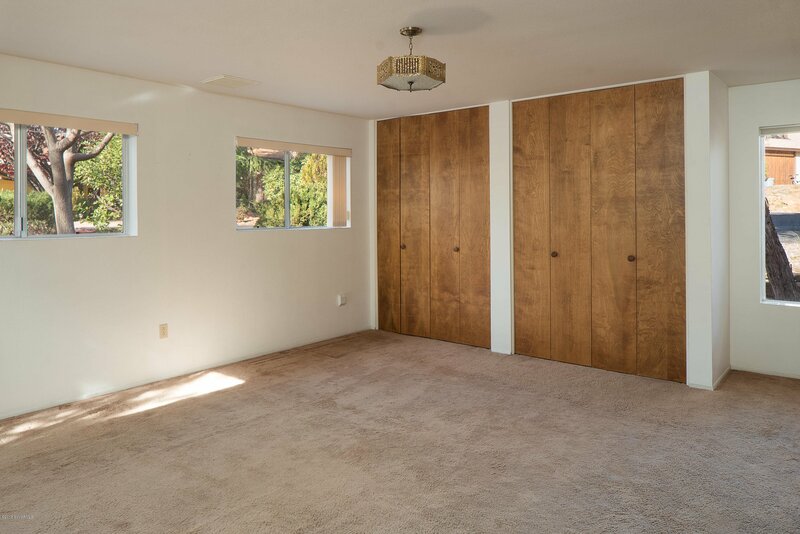 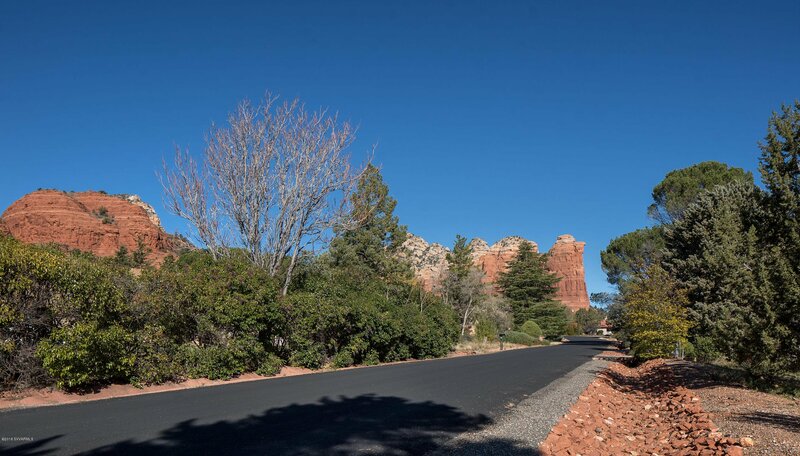 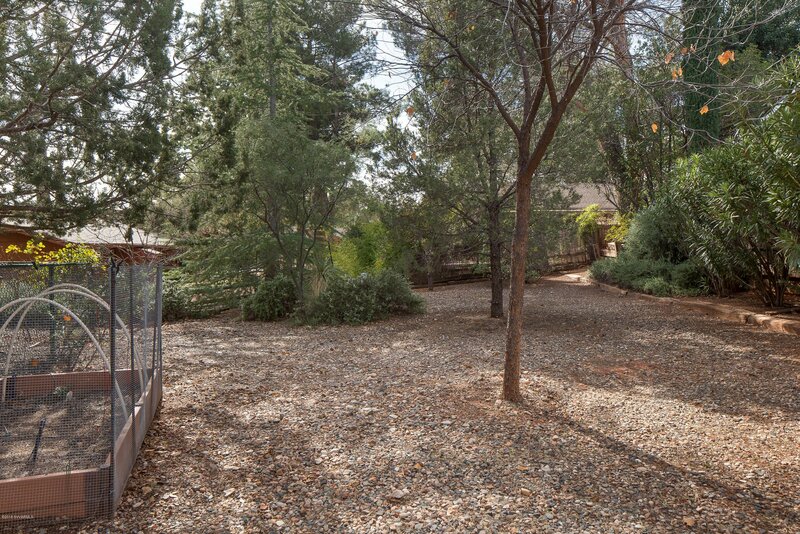 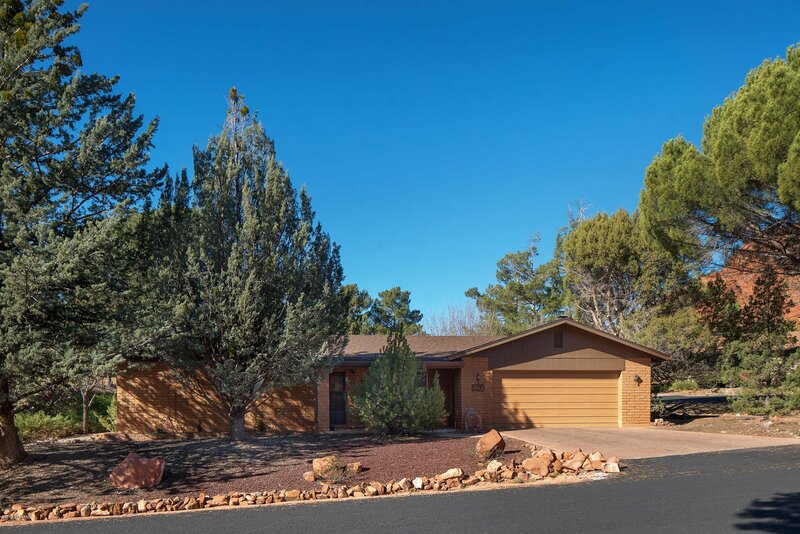 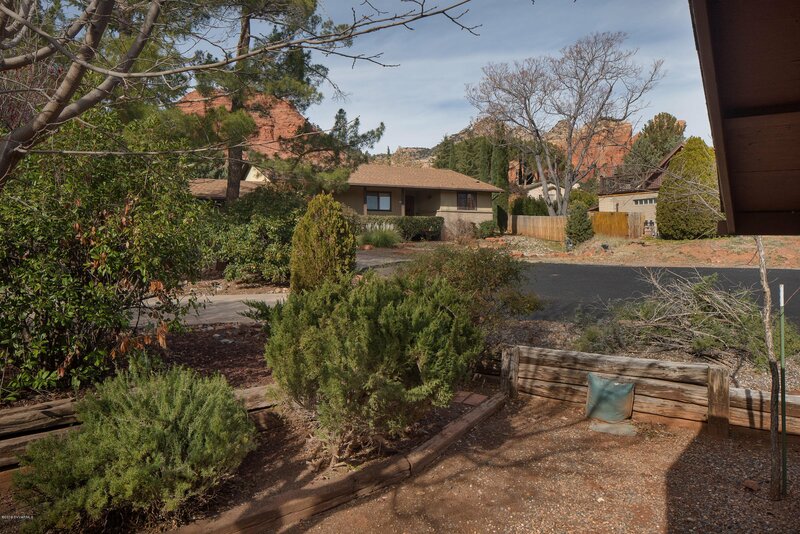 This West Sedona home has been lovingly maintained, and offers an ideal single-level floor plan sitting on a desirable corner lot. 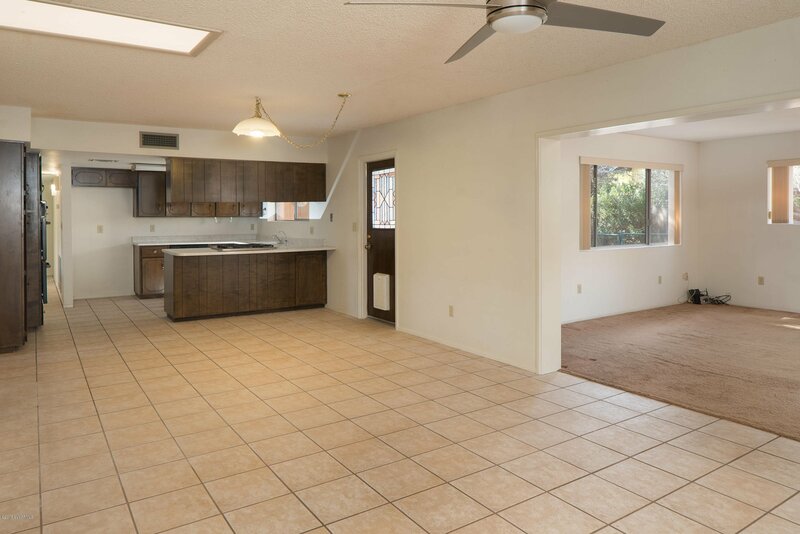 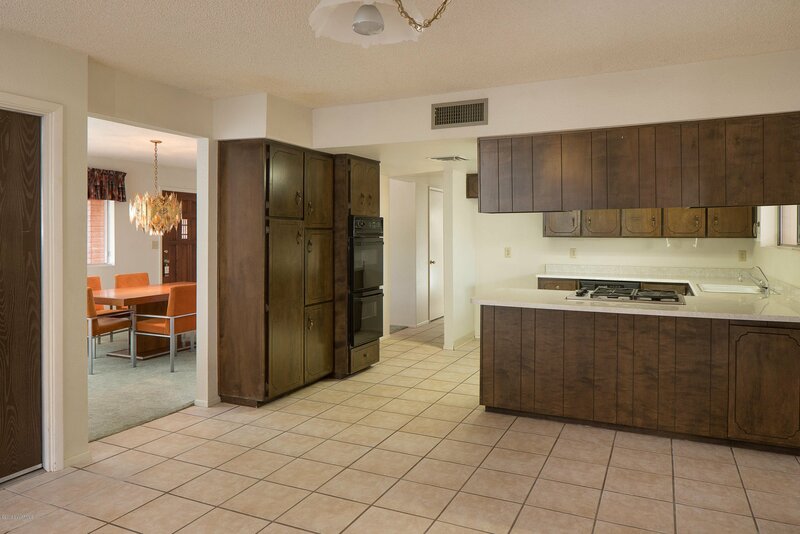 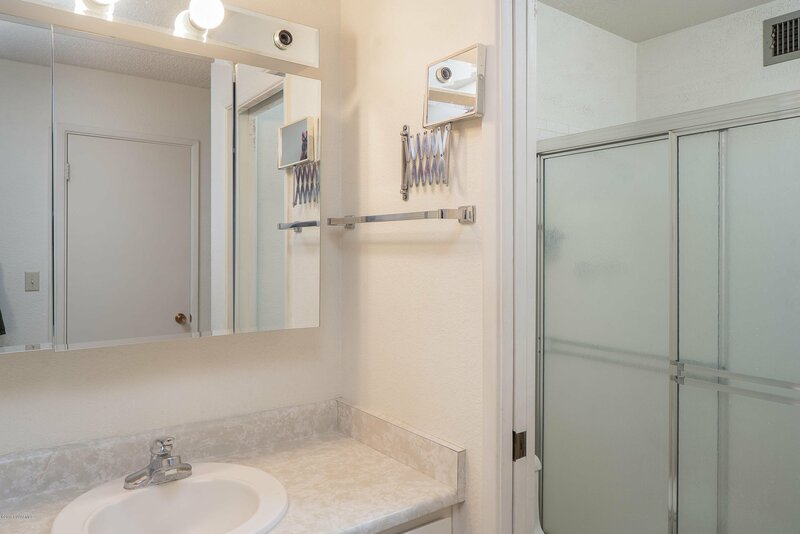 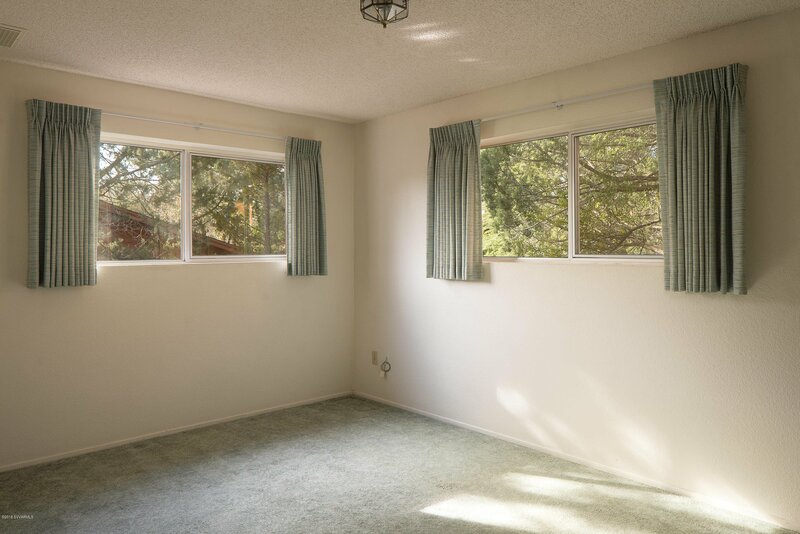 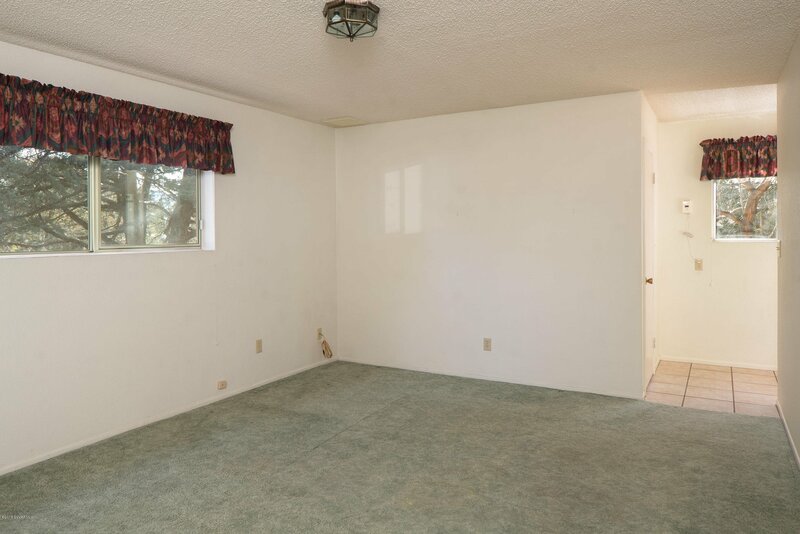 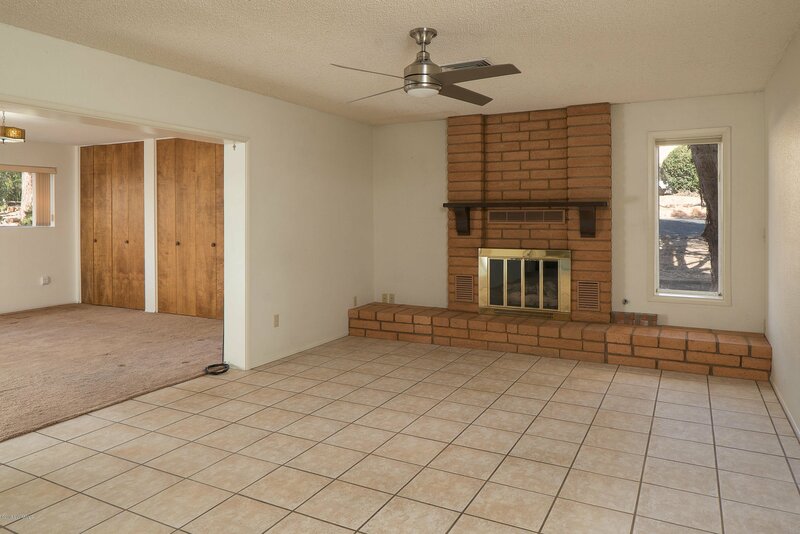 It is Move-In Ready with generous room sizes and an open floor plan, with a wonderful brick fireplace in the spacious Great Room and skylight overhead, right next to the spacious Arizona room with built-in book shelves and storage, both with lots of natural light. 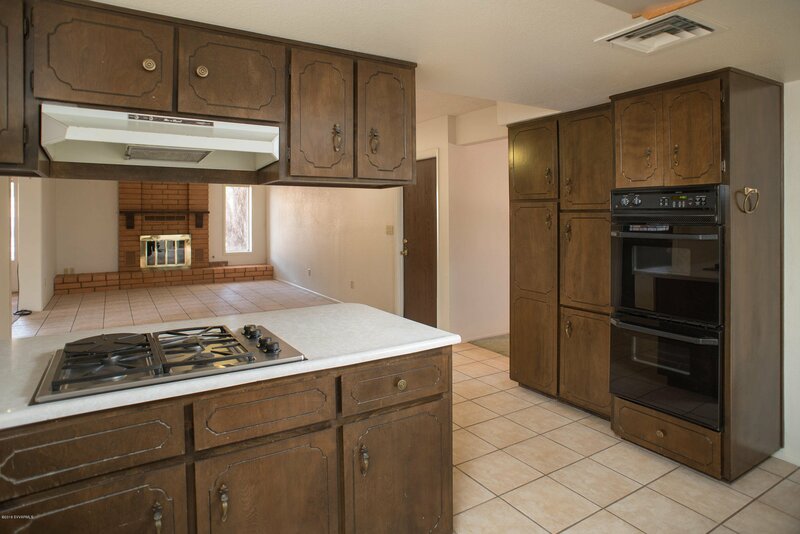 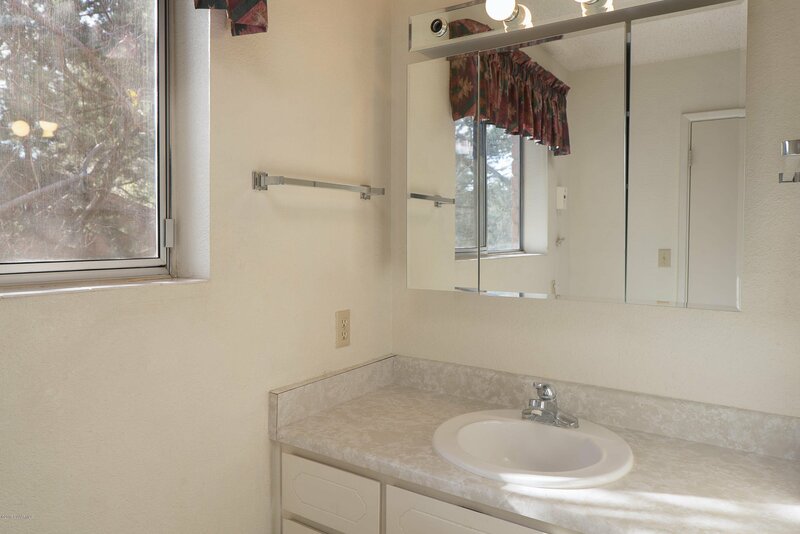 The kitchen and adjacent laundry room provide plenty of cabinet storage. 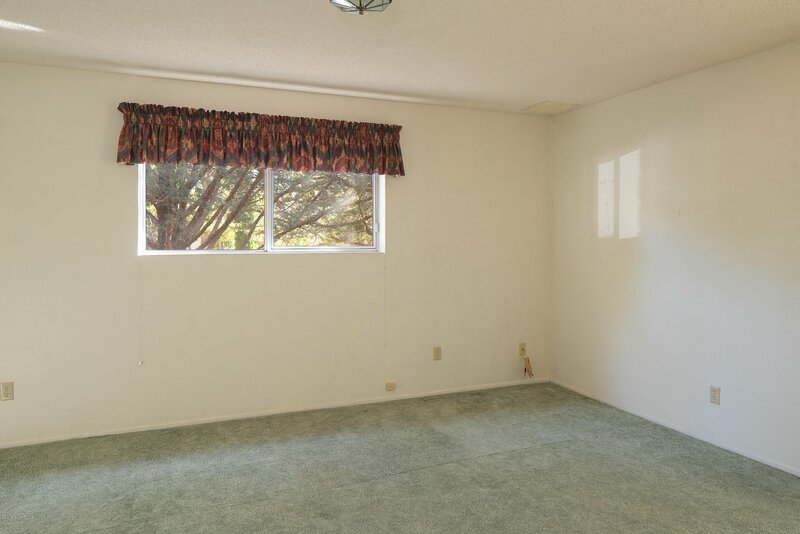 The living room has a peak-a-boo view of Coffee Pot. 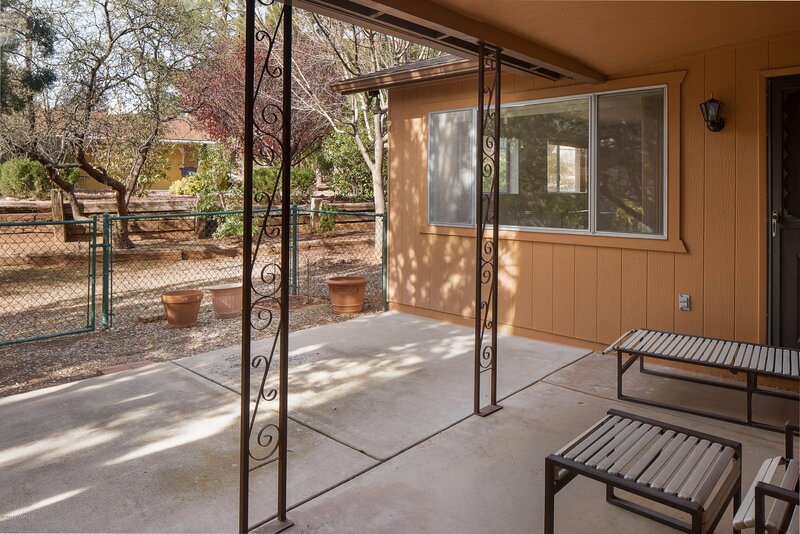 The ample back porch area and large enclosed Arizona Room overlook the backyard, with a short walk to the National Forest.